Condition: Large sections of walls are still standing. Notes:Silifke Castle (Turkish: Silifke kalesi) is a medieval castle in Turkey.Silifke (ancient Seleucia) was an important town of the antiquity and a castle was built in 4th century BC during the Hellenistic age of Anatolia. 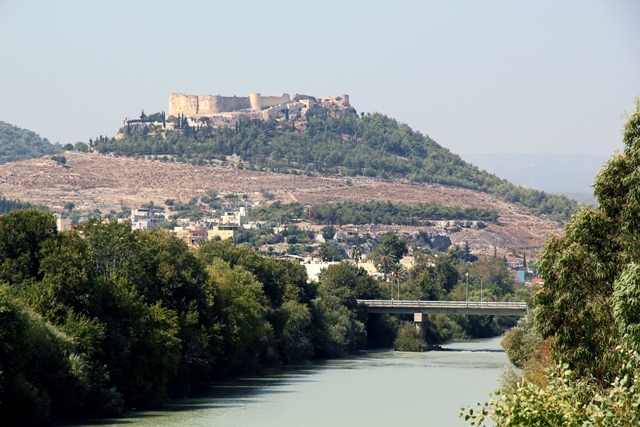 Nevertheless, the present castle was built by the Byzantines in the medieval age as a bulwark against Arabs. Towards the end of the 12th century and during the Third Crusade, Armenians captured the castle (under Baron Leo, the future Leo I). However in 1210, Armenians conceded the castle to their allies Knights Hospitaller to defend their west flank from Seljuk Turks. In 1236, the castle was enlarged.